Over the years I’ve come to appreciate each season. I honestly don’t think I could live some place that doesn’t experience all four seasons to their fullest. Here in the Mid-Atlantic we can experience all four in every extreme. From stifling heat in the summer, to extreme cold in the winter with two blizzards within five days and daily highs in the single digits. As Tommy and I have begun to move towards more of a “homesteading” lifestyle (my dear, darling husband now frequently talks of how he just wants to buy a ton of land and give up his office job so he can drink his morning coffee while looking out over his land), I’ve developed a deeper appreciation for each season and it’s purpose. Much of what we do revolves around the seasons. Right now it’s winter. Most people probably assume it’s the time when you can kick back and relax. There isn’t a garden to tend, nothing to can, and we currently have no animals now that our broilers reside in the freezer. But while the ground rests, we curl up beside the wood stove and we plan. 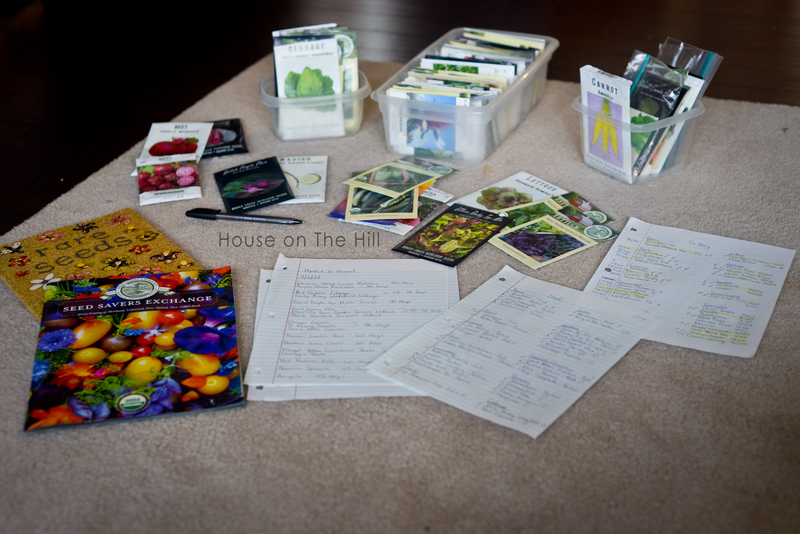 My seeds are spread about as I take stock of what I still have and update my inventory, review notes from last year, and pour over my 2015 catalogs. I’m trying to figure out what to devote space to, what to grow more of, less of, where to put things. And while my canning jars begin to find their way back to the shelf empty, I mentally keep tabs on what I’ll need more of next year. I’m already concerned about our dwindling supply of jams, and know we need to be conservative with the applesauce and green bean supply. I’ve taken stock of what herbs I have on hand, what I need more of, and what I need to grow. We’ve been debating back and forth on whether to try and get an orchard going this year, or to wait till next. 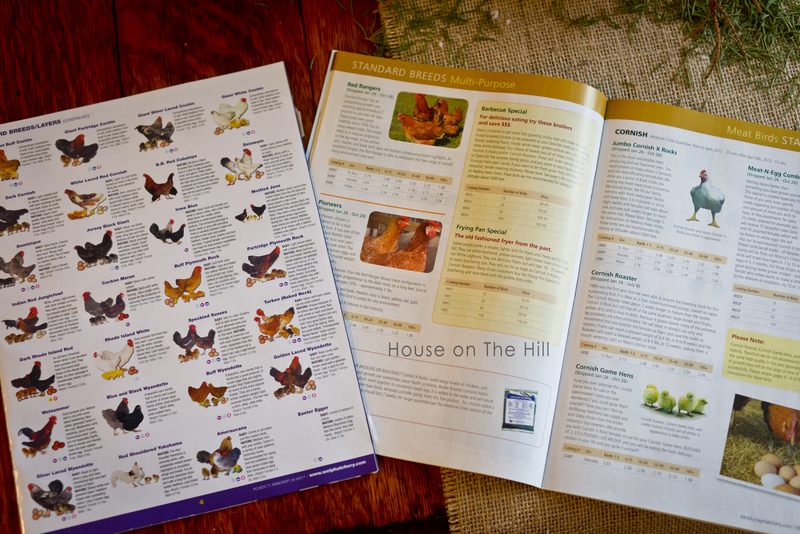 We plan to continue raising our own meat birds, but we’re trying to decide on whether we will buy pullets or just order our new laying birds as chicks when we order our new batch or broiler chicks. And pigs, well, hopefully we’ll figure out what we’re doing as far as pigs. I need to take soil samples to our local feed store, and have made mental notes of what was planted where and what will need to be rotated and to where. Other questions loom, like do we try to get bee hives going, Tom wants hops for his home brews, where can those go, how much work will take to get a wildflower field going, and do I want to try potatoes again? Then of course there is always the money factor of what can we afford and what will need to wait until we can save the money for equipment, etc. And we’ll be raising something new this year. Right in the middle of when we’ll need to be doing most of these things. Along with making sure an investment property we have is on the market by the beginning of March, and Tommy needs to study for his professional engineering licensing exam, also in April, less than two weeks before my due date. By the time March rolls around, I look forward to the ground thawing so I can begin putting my plans to work. 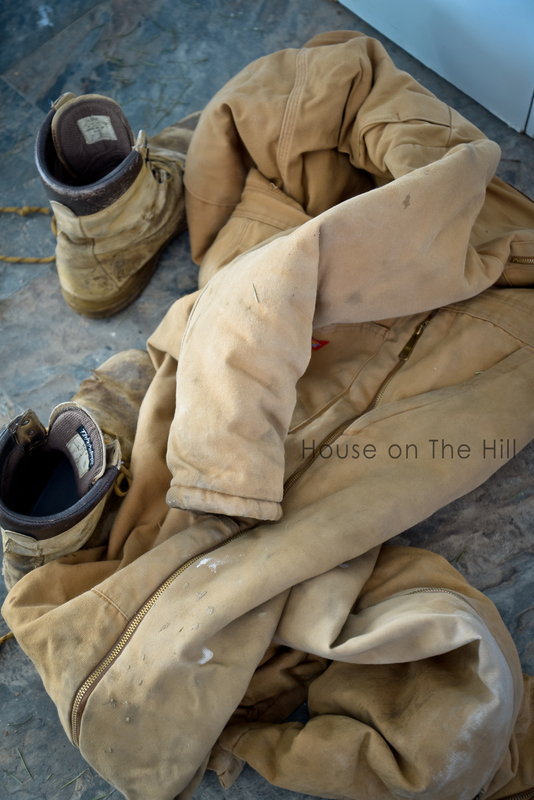 Well that and no longer having to haul wood and keep wood stove going, skating across our backyard to the car to defrost it before I leave, and in general, not having wear five layers to try and keep warm (and picking my husband’s coveralls off the floor, again). But each season has it’s purpose. Winter is for rest, for rejuvenation, and for planning. I’m never more motivated to make stuff happen than in the winter. By fall, I’m tired and regretting my ambitious plans. So I look forward again to winter, for the time to rest, and start all over again. I can’t remember where I first read this little trick, but all I know is that it works and is almost too easy. Easy enough that I stored it away in my memory and used it out of desperation once, only to discover it really does work. Next time you start having digestive issues, try adding 2 drops of peppermint essential oil to a tall glass of water. I like to sip the water over time, but my fiance, who hates the taste of peppermint, just chugs it as fast as he can to get it over with (and if he’s willing to do that it must work well because he thinks all my natural remedies are so “weird”). Peppermint works by calming your digestive muscles, allowing things to pass and calm down, thus relieving your discomfort. It definitely seems works since anyone I have ever had try it has said they felt much better within 10-15 minutes. I keep a small bottle of oil in my purse so I always have it handy. *If you are pregnant, or have a diagnosed condition that would cause you to have digestive issues, please use caution when trying this remedy. I have seen some articles that said peppermint can help those who suffer from conditions such as IBS, but I would encourage you to do your own research before trying this natural remedy. Please also use caution when giving this to children. I would not recommend it for any child under the age of two and would suggest diluting the peppermint oil even more for any child under 13. Try it any let me know what you think. What other natural digestive remedies have you tried? *Hey! Please remember I not a doctor or expert. I’m just passing on knowledge to you. Please don’t think that just because something works for me, it will automatically work for you too. Use your own judgement and do your own research before trying anything. In the past couple months there have been a lot of new chapters beginning. Although one, obtaining a full time teaching position, sadly doesn’t seem to be part of the current chapter, there are still lots of new and exciting things happening in this one. At the end of June, my (then) boyfriend and I trekked north to upstate New York for UCI mountain biking’s world cup stop in Windham, NY. While we were there for the mountain biking, and Tommy was planning on biking in it himself, it was also our vacation. 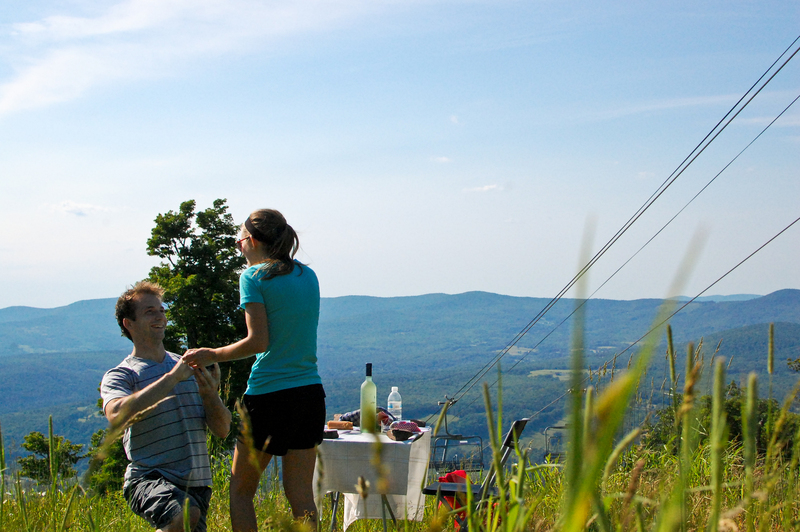 Our first day there, he was eager to hike to the top of the mountain for wine and cheese. Yes, that’s right folks, he asked me to marry him. It only took him a little over 6 years and 9 months, but he finally asked. So after spending the next week there we headed home and had another big life event on the calendar a week later. 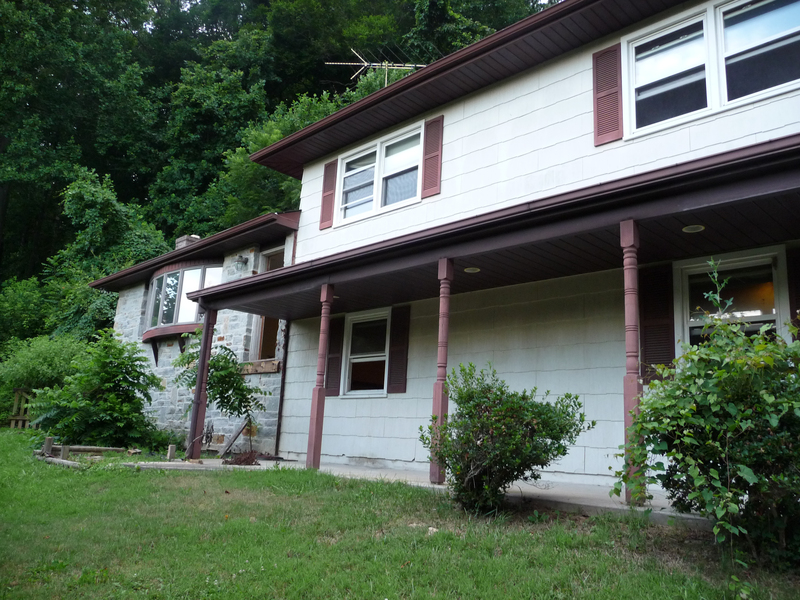 We have no front steps. Or about a million other things that need to be repaired, replaced, or redone. 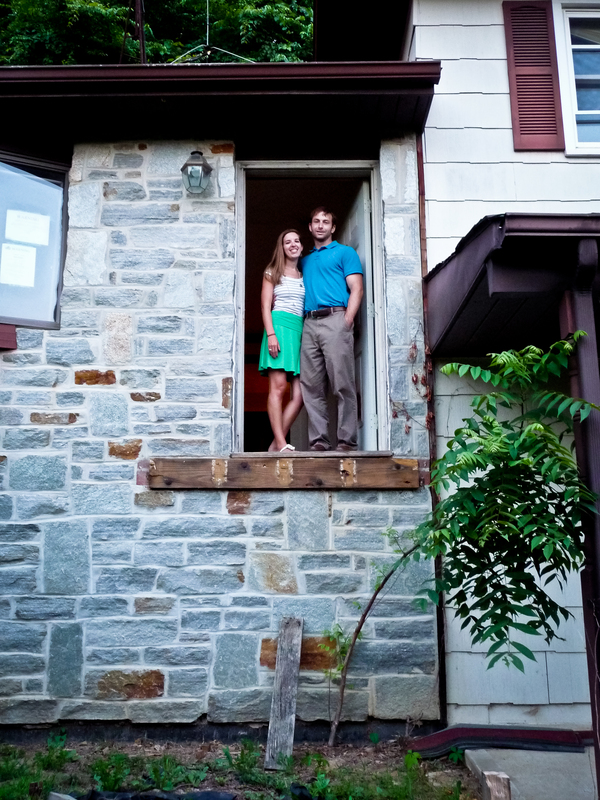 Yes folks, we bought a fixer-upper. In every meaning of the word. We got an amazing deal, but we now are making up the difference we saved in the blood, sweat, and tears that we are pouring into this house. Yes, we’ve literally put blood (just a little), sweat (a whole lot), and tears (mostly from me, okay, all from me), into the house at this point. And we’ve only just begun. Oh joy! Basically everything in the house had to go. When all is said and done, the only thing not new in the kitchen will be the cabinets (budget just isn’t allowing for new ones right now). The roof is new, as is almost all the plywood under it. The whole house will have new floors. Every square inch will be primed and painted, after about a third of the sheet rock has been replaced. The bathrooms will be all new. Every appliance type item will be new. We’ll have all new doors, both interior and exterior. The window’s thankfully are Anderson’s that are in good shape. All trim work will be new. And when it comes to the outside, don’t even get me started. And while yes, it’s exciting, it also extremely overwhelming and stressful. We are doing everything ourselves with the help of Tommy’s father who has redone a house (worse than ours actually, which is tough to beat) and built their current house which Tommy grew up in. I’m very thankful he’s so handy and helpful, as this would not be possible without him. So as you can imagine, I haven’t been doing much wedding planning. More like scrubbing, disinfecting, demoing, sanding, painting, discovering mold issues, and tossing bottles of water onto roofs for thirsty boys. You know, house stuff. Eventually, once we get the house in slightly more livable condition, I’ll get going. We’re looking at May or June 2013 right now, but depending on how things work out, it might be next fall. And while I’m sad that it looks like another school year will pass without me being able to do my dream job, I also realize it might be a blessing in disguise with all I have on my plate right now. So with that, the face of this blog will also move into the next chapter. While it’s been my personal blog, mostly about crafty things and some crunchy stuff as of late, I’ll be adding stuff involving the house, and planning a wedding. We’d also like to be at least a semi-self-sustainable so you’ll probably see some stuff about gardening, etc. in the coming year, along with married people stuff. But only time will tell what’s in store for the next chapter. I love homemade and I much rather make something myself. Especially if it also means a safer product and saving money. 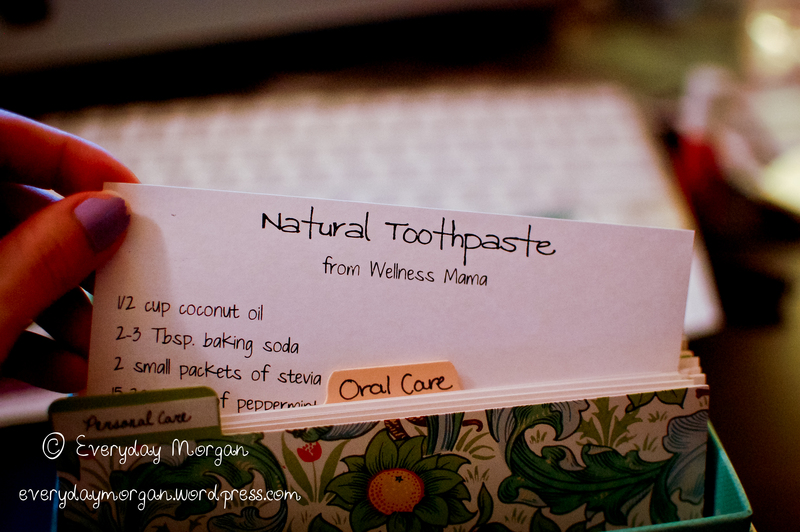 Thanks to Pinterest and my general research (but mostly Pinterest) I’ve gathered a ton of recipes for all things natural and homemade. But as I started to make some of these things I discovered a problem. I was jotting the recipes down when I went to go use them, but then I was ending up with a pile of scribbled recipes on post-it notes, the back of reused envelopes, and scrap paper. I also released I was finding it hard to track down a specific recipe I wanted quickly among the 100 plus pins on my board. Or I had returned the book it was found in to the library. 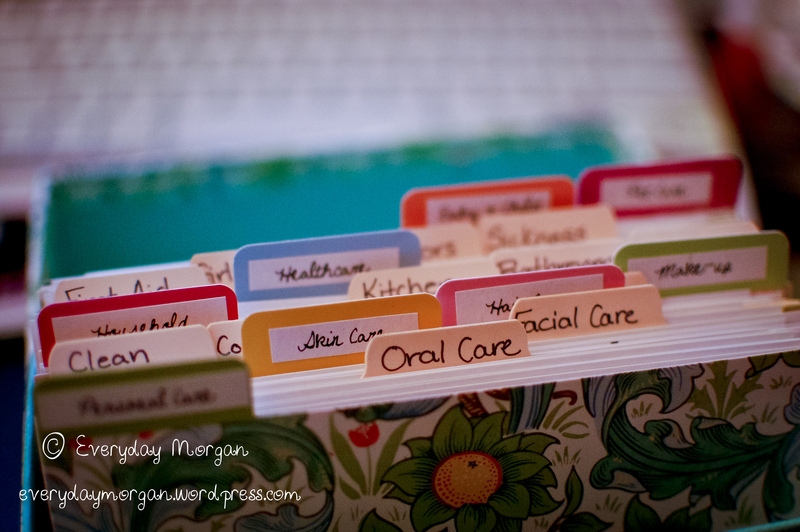 I needed a way to organize and save all these recipes. 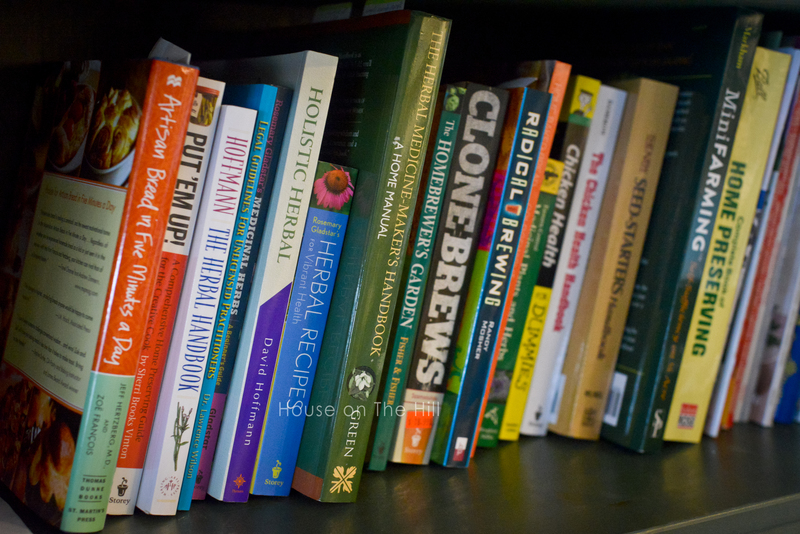 Enter the homemade recipes reference box. 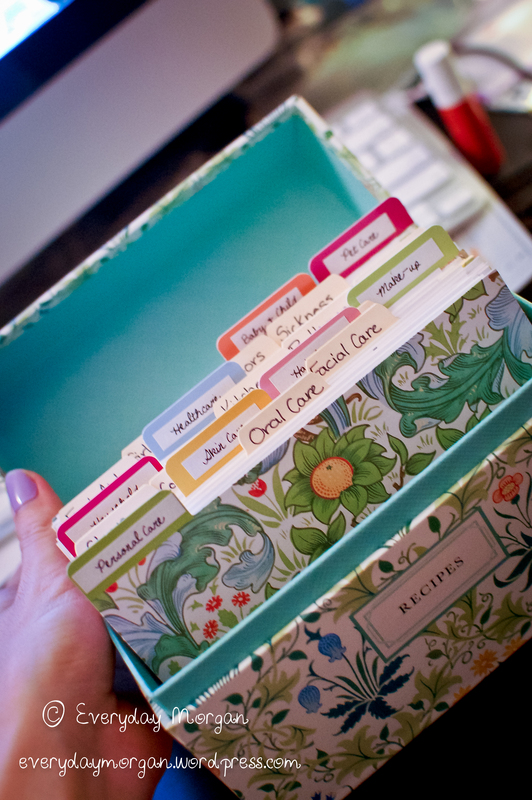 Otherwise known as, a hacked regular old recipe box that holds recipes for do-it-yourselfing to the extreme. I simply bought a pretty recipe box off of Amazon.com and reinvented it. Here’s how I did it. I started by creating a template in Apple’s Pages software (if you want it, just ask, but it will only work in Pages, sorry if you’re stuck with Microsoft Word). I actually started making the cards before I bought the box, but knew I wanted to create cards that would fit in a 4×6 box. Unfortunately, the standard 8.5×11 paper size doesn’t cater to this well, so I settled on 4×5.5 inch cards so that I could get four cards out of each page. Then I started typing. And typing. I probably had close to 100 recipes typed before I actually printed them out. They are just printed on regular old white card stock. This is what I then used to develop my categories. 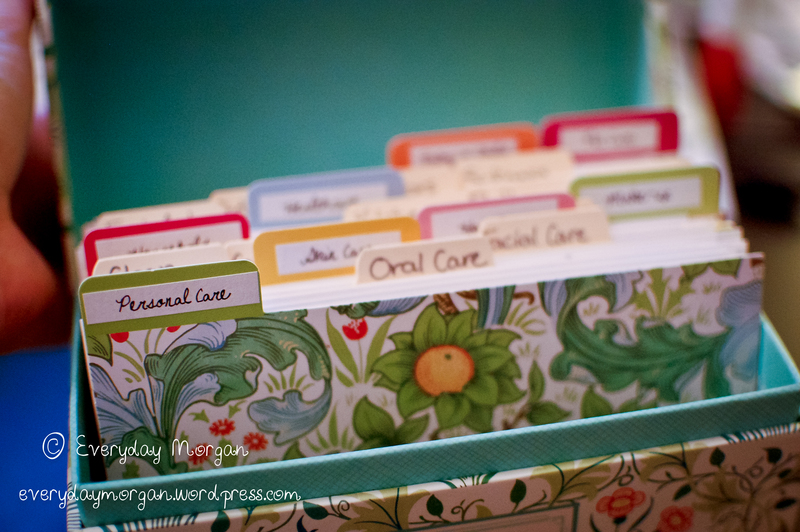 After I had cut them all down with my paper cutter, I sorted them in to piles with like recipes. I then tried to figure out general categories. Some were easy, like hair care or household, but others were more difficult. I also realized I needed subcategories. I used 4×6 index file card guides for this. 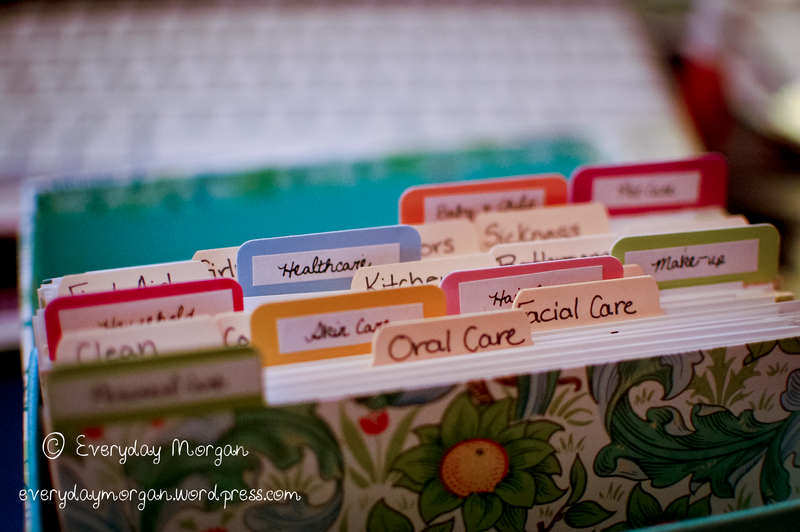 You can obviously make your own categories, or make adjustments to my list to suit your needs. As I’ve continued to add recipes, I’ve sometimes added a subcategory, and these will probably continue to evolve and change as I continue to use it. 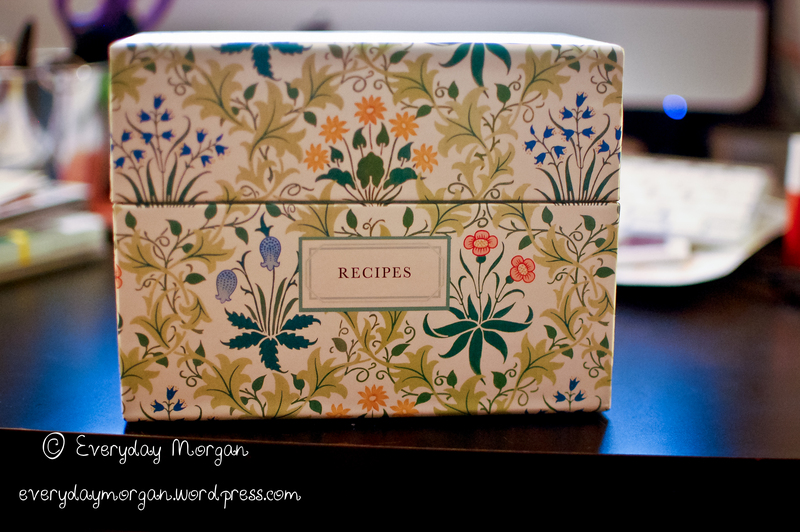 Right now my box has about 150 recipes in it, and I can foresee need to add another box eventually. But for now, it works great! 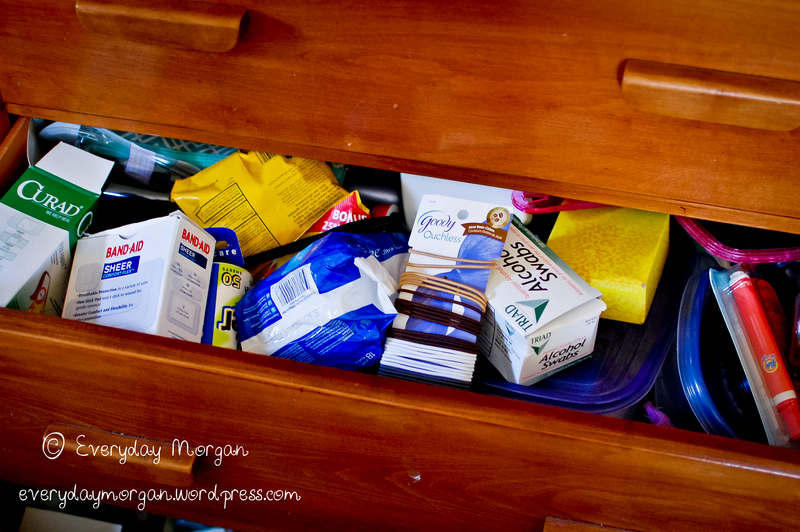 I have recipes that cover most of the basics and have found myself reaching for the box when looking for a solution to something (which is the whole idea, right). I’ve even been on the phone with someone a couple times and found myself telling them “hold on, I have a recipe for that!” Of course that’s usually followed by, “um, I don’t have any of those ingredients.” I need to get my friends a little more crunchy. 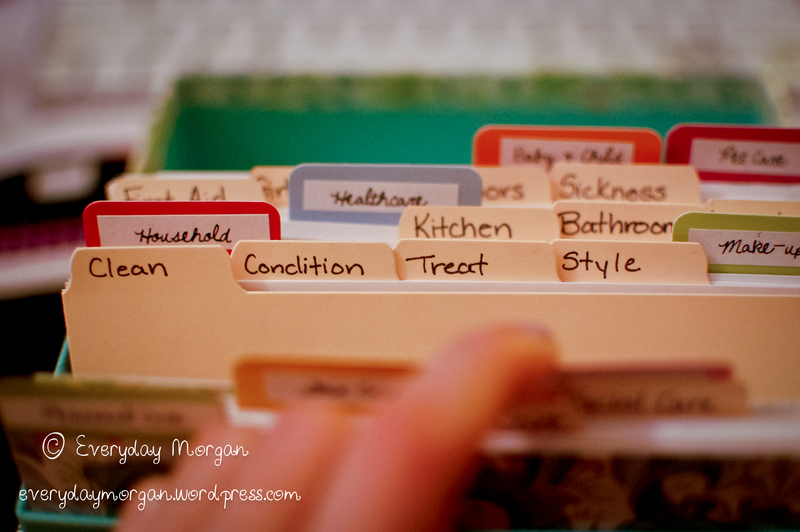 I’ve also found it a very helpful way to find areas where I’m lacking recipes and even add to my ingredients stockpile. I can make most the basics, but there’s a lot of specialty ingredients I don’t have. I’ve started to keep a running list, based on the recipes in my box, which is helpful when I go to place an order for something, but need to add a few items in order to make shipping worth it. Now I know what you’re thinking. It’s “I really hope she’s going to share a download of all those recipes,” it’s it? I really wish I could honestly, but because they are not my own, I don’t feel that it would be right to do so. You can however find most all the recipes (except for the few I copied from books borrowed from the library) on my Pinterest boards. That will save you the time of hunting for them yourself. (If you need a Pinterest invite, just ask!) I was actually surprised at how little time it took me to type up a page of cards. It depended some on what the recipes were, but it wasn’t nearly as daunting as I thought it might be. 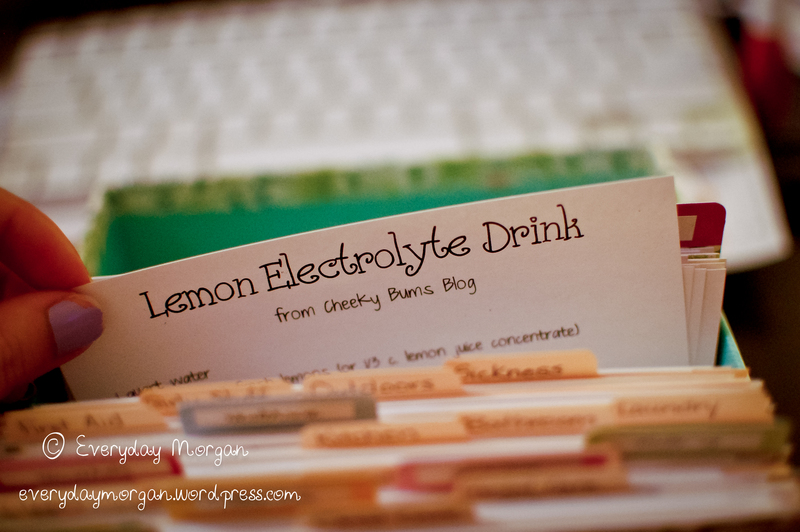 As I add my own recipes, I’ll try to type up pages of printable recipes so that my recipes are at least ready to go. 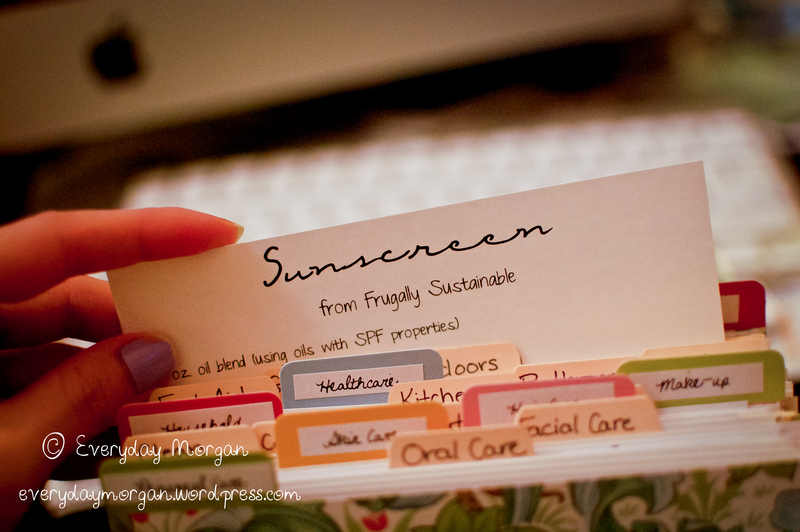 Some other bloggers do this too, and usually in the 4×6 format, so keep and eye out for that too. Please don’t think I sat down and did this all at once either. I’ve actually been working on it for months. Sometimes I’ll sit down and type up a page or two. Other times I’ll type 6-7 pages. I’ve just slowly been going at it. It’s an ongoing project that will continue probably indefinitely. And that’s half the idea. Although I’ve never done a detox, I know plenty of people who have. I also know a lot of people who sort of “detox” by no longer eating processed foods and eating as organic as possible instead. And the other week I got the bug to detox. See I fully believe eating better will certainly make you feel better. And yes, there are some definite health benefits (and environmental benefits too if you’re trying to eat organic and locally). But the more and more I’ve researched after doing my “What’s in your face wash?” post, I’m not sure it will make as big of a difference if you are still using products full of chemicals. I’ve recently found myself, now armed with my new knowledge and understanding, wanting lecture people who talk up how they eat all organic foods, recycle and compost, drive their Prius, and then go spritz hair spray all over themselves. Why? Because, they pretty much just counteracted all that goodness they put into their bodies with that hair spray, and probably the shampoo and conditioner they washed their hair with earlier too. I’ll have more on ingredients later, but just trust me here (it’s a lot to write up, I’m working on it). At the end I’m going to go ahead and give you some easy steps to take to detox your own products. I couldn’t just torture you with my ramblings. 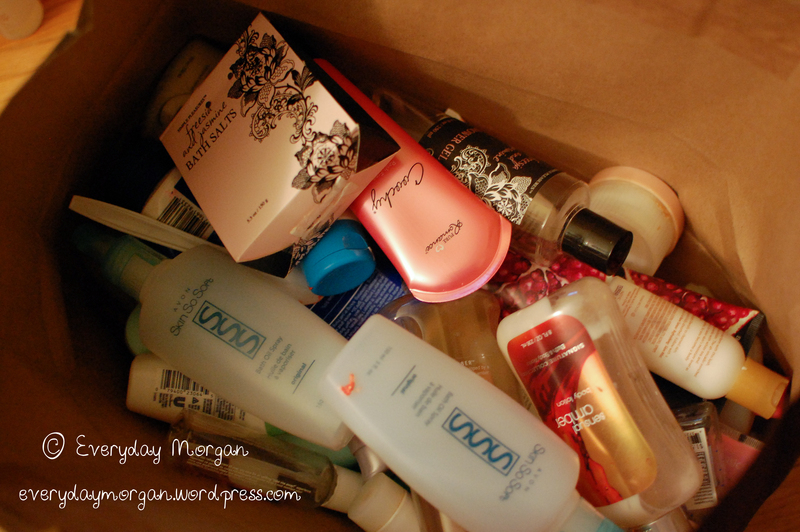 My family started a chemical detox of our house a couple of years ago, and I’ve done a detox of my personal care products in the last 6 months. 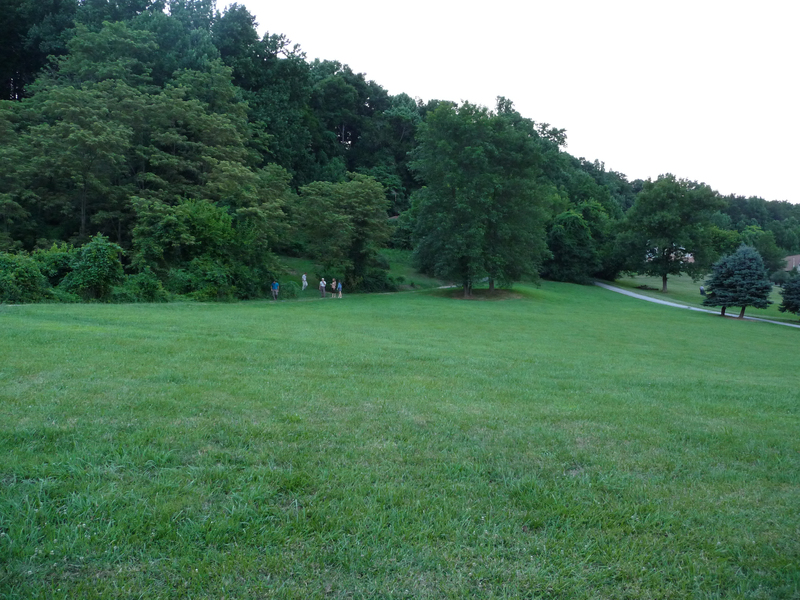 But there was one area I still had to detox. 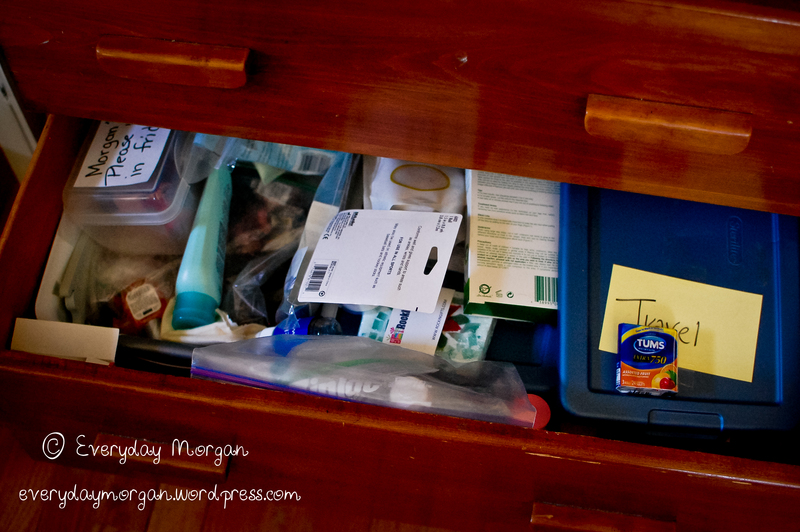 I’ll be honest, one reason it was such a major mess was because I don’t really touch anything in those drawers. Which was a good reason why it needed to be cleaned out. But I was also ready to get rid of the last remaining hazards to my health. I also found lots of interesting things. Like my retainer that I’m still suppose to wearing a couple nights a week. 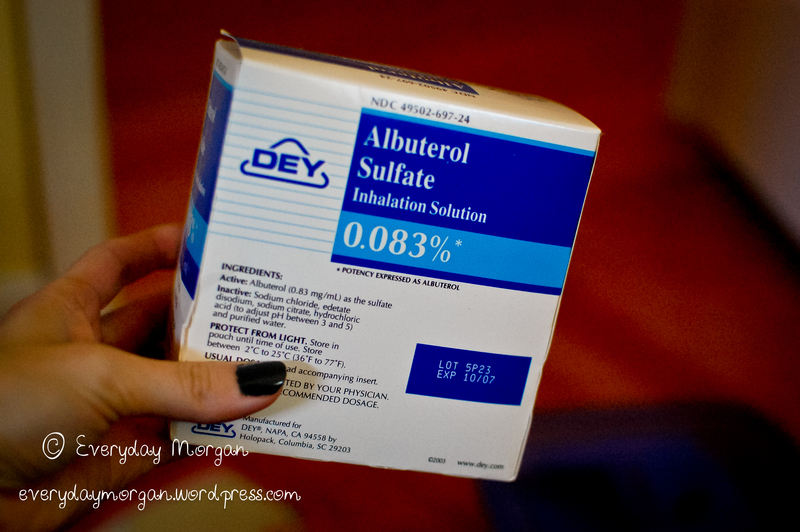 I panicked this fall because I thought I was out of albuterol for my nebulizer. Nope, just buried deep in my drawer. Although look at that expiration date, probably was time for some new stuff anyways. 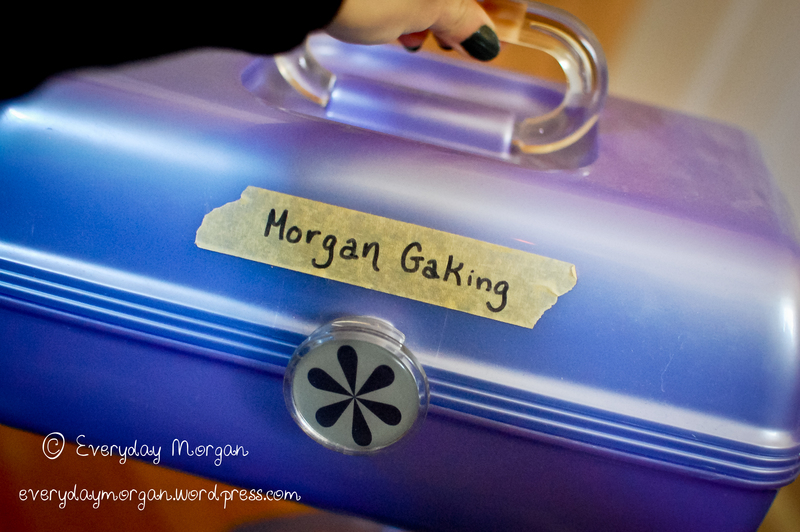 Mine still contained all my things that were in there for my last ballet recital as a senior. I still haven’t been able to bring myself to clean it out. These actually work great in hair. Another flash back for you! Bon Bons mini nail polish bottles! 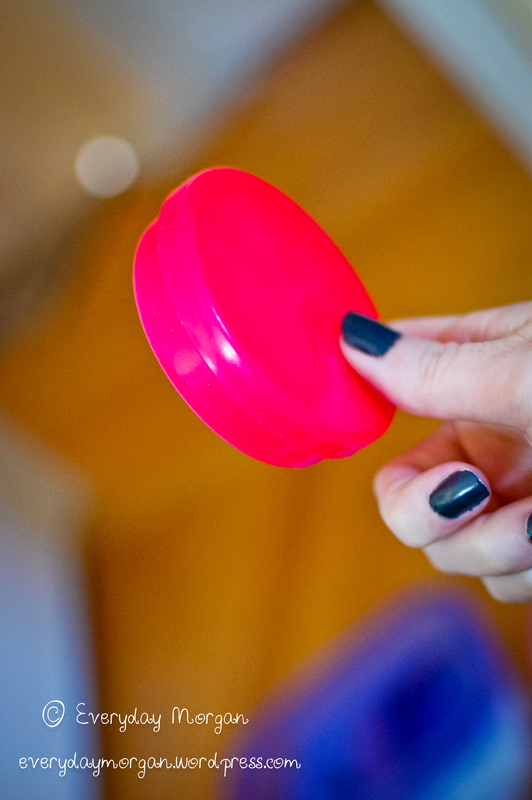 I used to love these because I could buy quite a few with only one week’s worth of allowance. 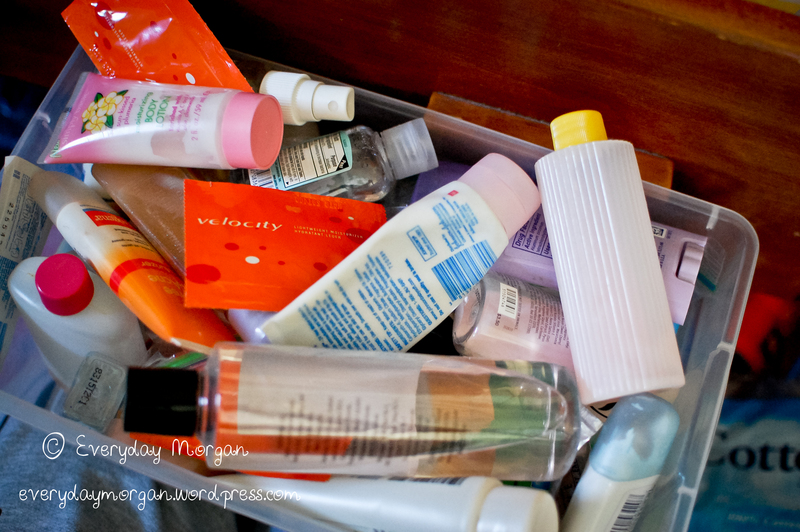 After I was done, I had a bin of products, every single one containing at least one, more often lots, of harmful chemicals. My issue then became what to do with all of it. I considered it toxic waste, but my state did not (a few states do, so check on that). I did have some good recyclables though. These bottles are a nice small size and have a fine mist, so I saved them to be cleaned out. 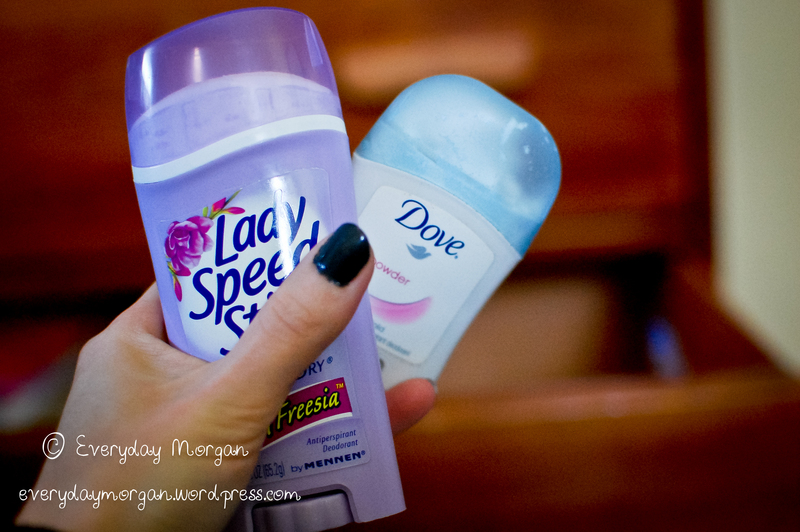 I’ve been wanting to make my own deodorant, so I’m glad I’m weird and saved almost used up deodorants. I saved a few other items, but most just went into the recycling after I emptied them. 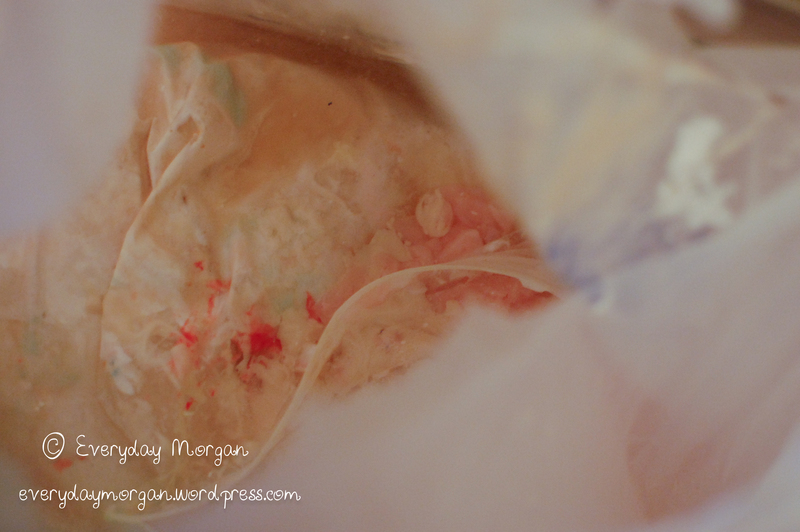 I emptied into a plastic bag, but I’d highly recommend emptying into a jar of some sort. It got quite messy and well, just trust me here. Interesting thing to note was that as I started pouring out all these products, I could smell the chemicals like never before. 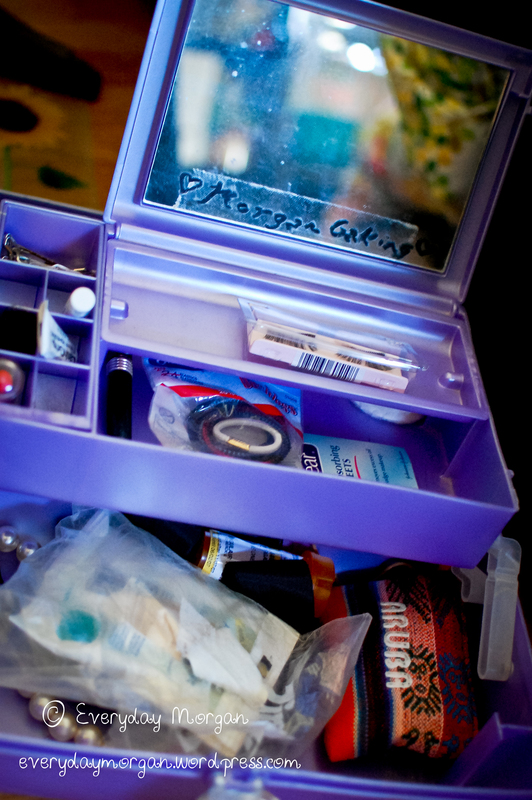 Some of the stuff were items that I used to use on an almost daily basis. Funny how we get used to smells. I know I wouldn’t have used them had I thought they smelled like chemicals, and because I had become used to the smell I didn’t notice. I also developed a major headache while dumping out the contents. But don’t worry, I cured it by smelling some rosemary and peppermint essential oils. Ahhhh… yay for all natural! Another interesting thing I noticed was how many bottles gave the illusion that they were natural and safe, yet were anything but that when you read the ingredients list. Which is why I’m working on putting together some more information about how to read ingredient list because well, labels cannot be trusted. Now it’s your turn to detox. You don’t have to do it all at once, although you are certainly welcome to. But for most of us, it can be overwhelming (and time consuming) to do it that way. Here are some steps you can take to detox your daily routine. Gather all the products you use every day. With the ideas you researched choose one or two things to make and replace each week. Keep in mind some items may require specialty ingredients. Plan ahead and make purchases accordingly. Try to choose recipes that incorporate some of the same ingredients versus ones that would require purchasing a new set of ingredients. This will help keep it from becoming too expensive. Good places for ingredients and supplies are Amazon.com, Mountain Rose Herbs, TKBTrading, and Specialty Bottle. Making your own stuff is quite fun, fulfilling, and actually not all that time consuming, especially once you get the hang of things. If you stager what you make, things shouldn’t run out at the same time, which will make it easier for you to manage keeping up with making you own things. And if something doesn’t work for you, look for something else. There are many different ways to do/make one thing. After you’ve replaced the items you use daily, move on to things you use less frequently and branch out from personal care products to things like cleaning products and health care. But you say what if I don’t want to make my own stuff? I suggest making your own stuff for two reasons. One, because it’s cheaper in the long run, much cheaper. Two, because I still spot supposedly safe alternatives that contain questionable ingredients. The easiest way, I feel, to know you are using safe products is to make them yourself. You know everything in them is safe. If you still want to purchase your products, I suggest visiting a local natural foods store. We have Trader Joe’s, Whole Foods, Mom’s Organic Market, and The Natural Market in our area, all which are chain stores, so check to see if you have one of them, or another store locally. They all carry products that will probably be much safer than what you were previously using. It’s really not that hard. Start small and roll with it. That’s how I got going. Before you know it you’ll be well on your way to a much healthier you! 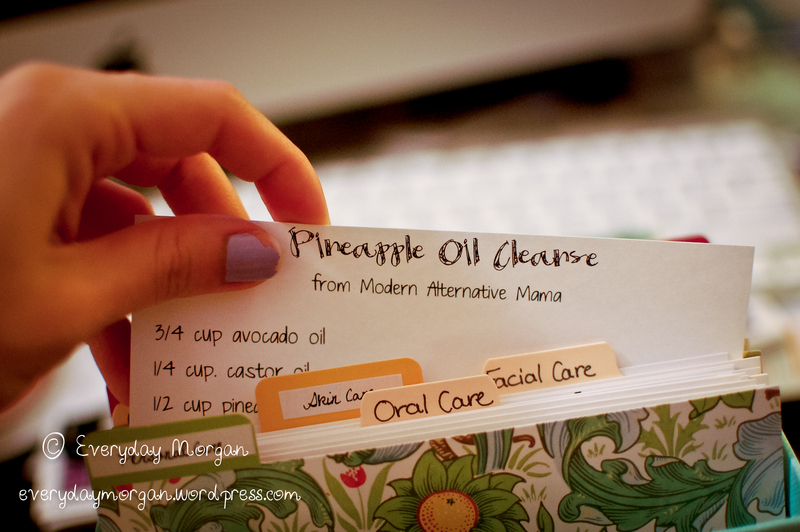 I few months ago I posted about my homemade eye make-up removing wipes. Over all I’ve like them, however I wanted a more liquid version and something that would be a little more portable (versus having to remember to pack a few wipes). This recipe works great and is super cheap and easy. It requires only three items. And no measuring. 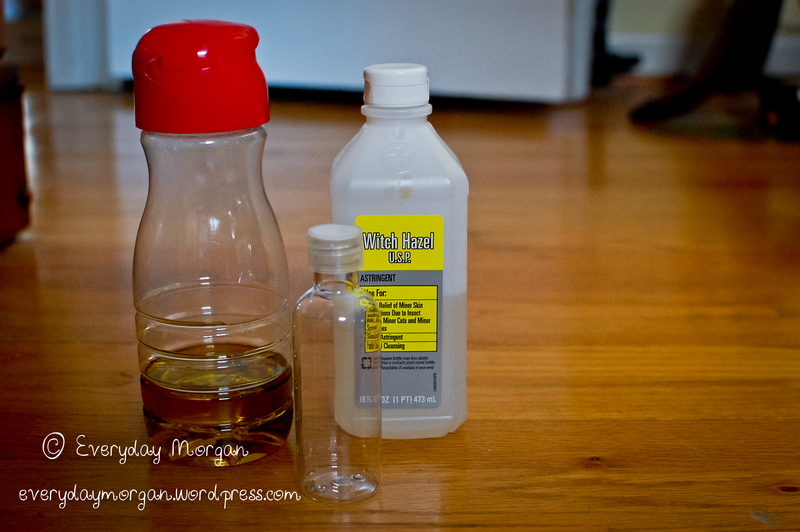 -A lot of people use baby oil, which is mineral oil. I do NOT recommend it! -Witch hazel can be found at places like Wal-Mart. Look in the area where you would find rubbing alcohol, usually on the isle with the band-aids. 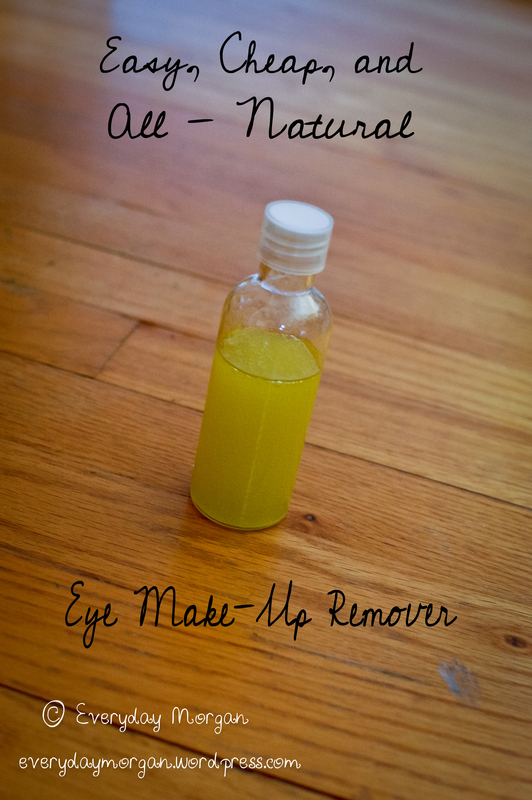 Now that that’s cleared up we can get down to business – making your eye make-up remover. Ready? 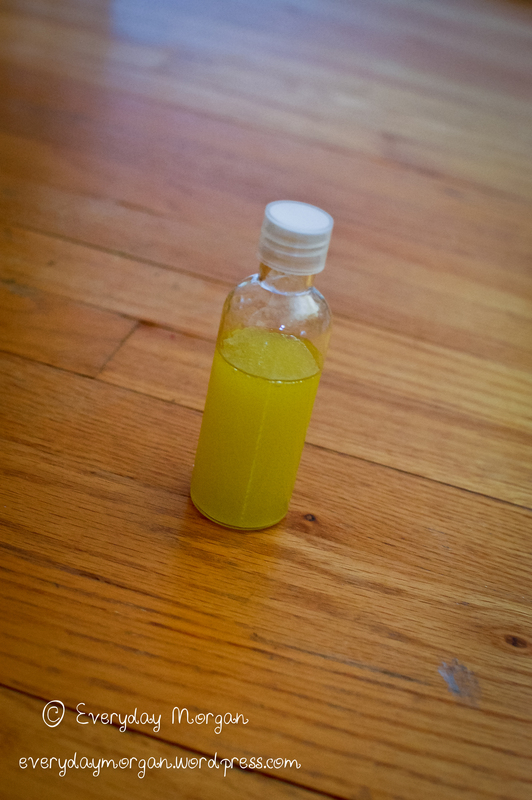 Fill your bottle with one part olive oil and two parts witch hazel. *Note: Less is more! You don’t need much to clean your make-up off. Too much and you’ll end up with really greasy eyes. Yes, it really is that easy. And considering you most likely have olive oil already on hand and witch hazel is a whopping $2 a bottle, it’s super cheap too. Pair it with some cut up fleece squares that you can wash and reuse and you’ll be well on your way to being a little more crunchy! 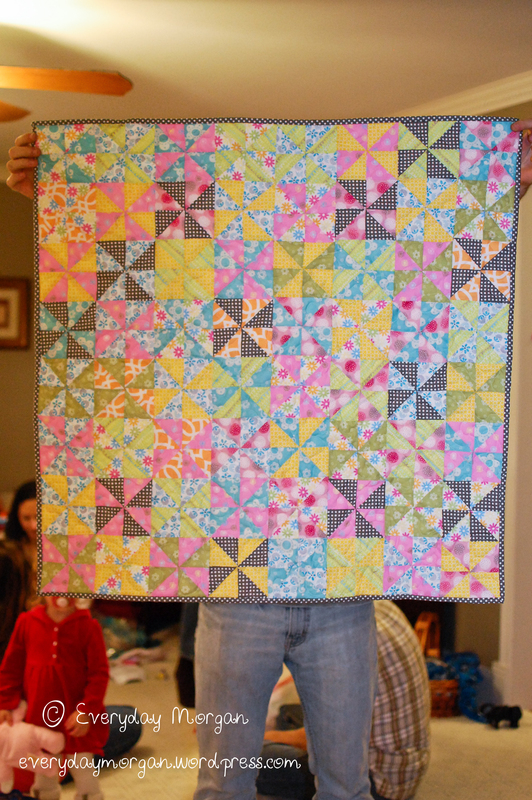 Back in the fall, shortly after I finally finished my sister’s quilt, I made one for my boyfriend’s youngest niece. This quilt was actually a year overdue as I had intended to give it to her when she was born. I was in the middle of my final semester in school however and simply did not have time to make it. Although had I been smart I would have made it in the summer, but I mean, why think ahead like that or anything. So she got it for her first birthday instead. I don’t think she particularly cared. I actually had purchased the backing fabric along with two of the other fabrics the summer before she was born, but had never gotten around to finding more fabric for the blocks. About a month before her birthday, thinking I was all awesome and planning ahead, I picked the rest of the fabrics. And then I waited until four days until her birthday to get started. Needless to say, I never wanted to see another pinwheel again once I was done. I actually finished stitching the binding the day of her party. Thank heavens I had happened to see this fast and easy way to make pinwheels when researching patterns for my sister and it saved some major time. I still had to cut my squares but I’m pretty sure I wouldn’t have made my deadline otherwise. Overall I’m happy with how it turned out. I wish the contrast was better though. See how those squares with the gray polka dots really pop out? I wish it was more like that in every square. I thought that choosing fabrics was going to be easy, however it turned out to be way more challenging than I thought. I was basing the color scheme off the backing, which was very pastel-y. Turns out it hard to find fabric with those pastel-y colors but in the end, I should have been looking some darker tones too. Oh well, lesson learned. I also learned that planning each block and making a bunch of the same ones would have been a smarter plan of attack than putting together each one at random. Because of that, I had to no easy way to lay it out, and it ended up taking me forever to lay it all out. After doing my sister’s though, it was still felt so quick to put together. I wish I could tell you the dimensions, but honestly, I cannot remember. It was something around 40″x40″. 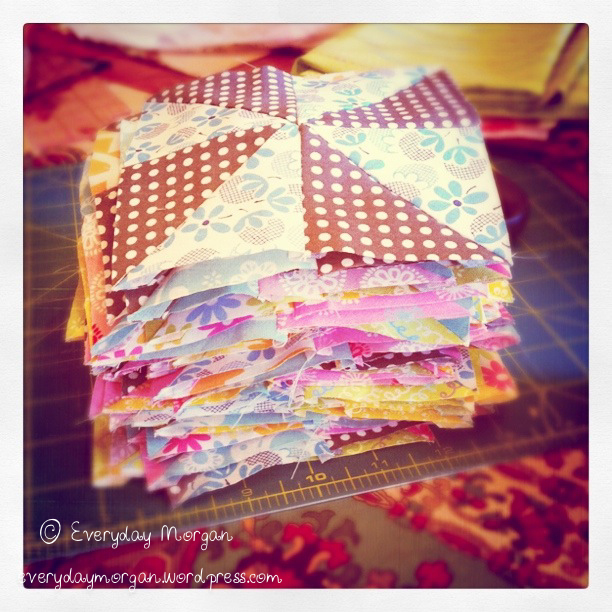 Pinwheels are pretty easy to put together, so I think this would be an easy quilt for a beginner. 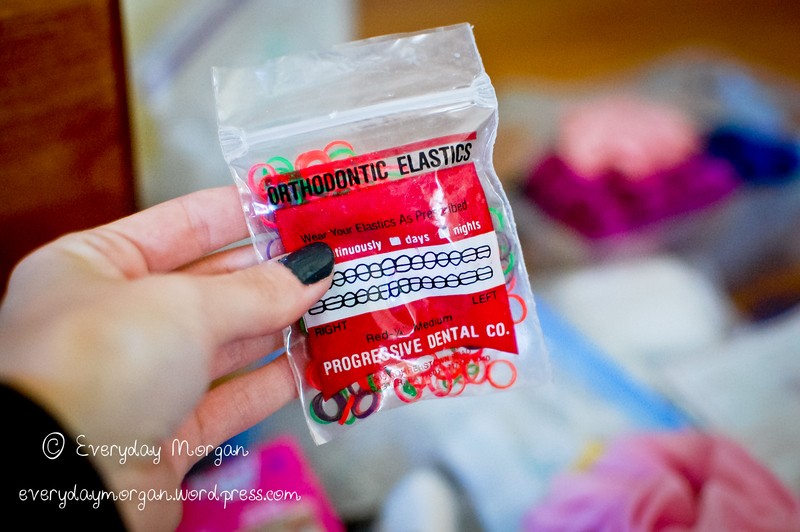 As always, I recommend keeping it small, especially if you are new to sewing in general. As always, feel free to ask questions if you have them!